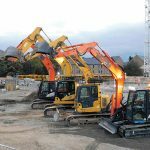 Drummany Construction Ltd. is one of Ireland’s foremost formwork and reinforced concrete specialists. 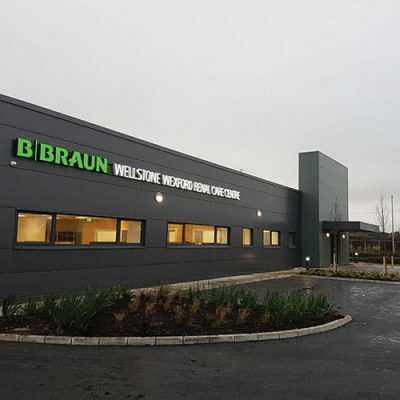 We travelled to County Tipperary and caught up with directors Sean and Seamus Maguire, the latter of whom has accumulated more than four decades of experience delivering a wide range of concrete construction projects throughout Ireland and the UK. 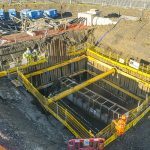 When it comes to reinforced concrete works and formwork, Drummany Construction Ltd. is a market-leading operation, built on cornerstones of integrity, expertise, experience and service. Fronted by the father-and-son team of Seamus and Sean Maguire, the company channels decades of practical experience working on largescale concrete projects at home and abroad into delivering flexible, bespoke, client-focused solutions that are simply second to none. A foreman / supervisor from an early age, Seamus oversaw the construction of all kinds of buildings, from high-rise office blocks, roadways, airports, commercial and industrial premises to smaller developments. 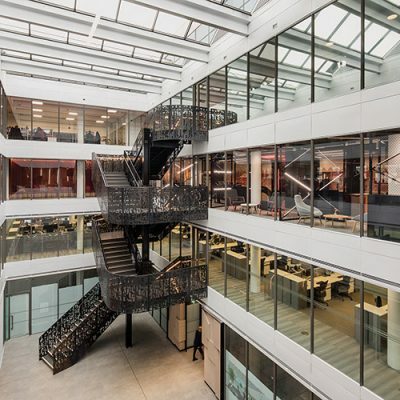 He served one of the biggest formwork companies in London, Getjar Ltd., the reinforced concrete frame and groundfloor specialists (also of Irish origins). 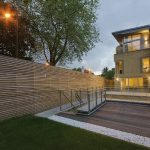 While based in England for almost 30 years, Seamus worked on all types of concrete frames as well as immersing himself in structural concrete works. He supervised work for a host of different concrete subcontractors and became an authority on all things concrete-related. In 1998, Seamus, his wife and three sons moved to Ireland. The Drummany native worked predominantly for concrete subcontractors when he came back, initially supervising all concrete works in Lisheen Mines, Thurles, before overseeing many concrete structures of the Limerick Bypass. He supervised work at the Cliffs of Moher Visitor Centre and was team leader for concrete works on The George Bernard Shaw Theatre in Carlow, which won the overall Concrete Society Award in 2009. Another project, in conjunction with BAM, was the engineering building at NUIG, where Seamus supervised all concrete works in the finished building. Drummany Construction Ltd. was established in March, 2011. One of their first projects was all the finished concrete works for the new PESS (PE and Sports Science) building centre at the University Limerick (Sisk). 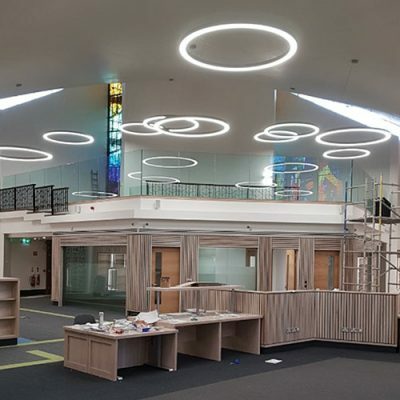 “We also took on the new council offices in Tipperary town, for main contractor Stewart Construction, as the civil service was being redeployed out of Dublin. “After that, we diversified into wind turbines and we’ve been specialising in windfarms for six or seven years now and that’s going extremely well,” says Seamus. 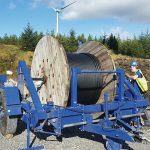 The first wind farm was completed in Tipperary and this type of work currently accounts for around 95% of overall business. “We construct foundations for the wind turbines,” Sean explains. 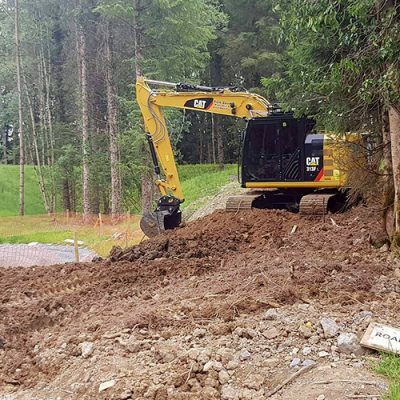 “The hole is excavated for us and we then do everything from the ducting, blinding layer of concrete, steel reinforcement, earthing, formwork, pouring of concrete and grouting. All elements to the foundation. But few, if any, can match the quality of workmanship offered by Drummany Construction. “We take great pride in our work and we are constantly striving to keep our standards at the highest possible level in order to secure more repeat custom and also to win other contracts with different clients. At the end of the day, regardless of your track record and experience, you are only as good as your last job and the price you submit. “If there’s a lull in wind farms, we have the capacity to take on reinforced concrete works for schools and/or other buildings – , basically all reinforced concrete elements to a particular project, i.e., columns, beams, floor slabs and general concrete frames,” Sean continues. 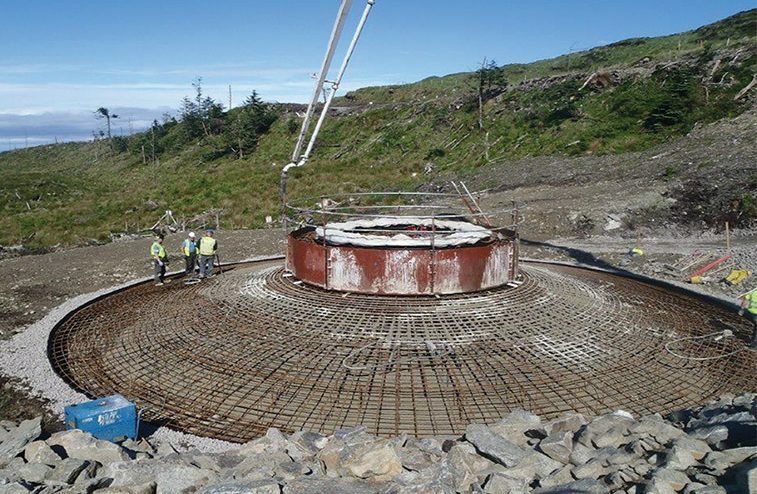 Over the last seven years or so, Drummany Construction Ltd. has delivered concrete works on just shy of 40 wind farms, comprising more than 250 turbines. “Last year was relatively quiet and we’ve had a quiet enough start to 2018, largely due to the weather,” Seamus concludes. “We’ve priced quite a few wind turbines for this year and the busy months for that work tends to be August – November.